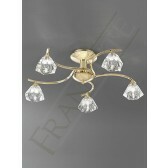 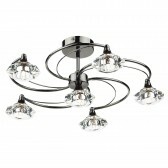 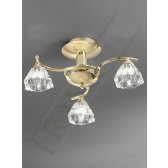 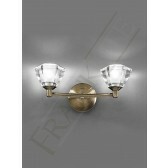 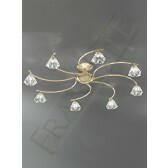 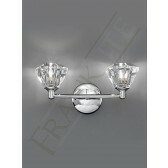 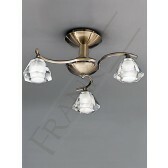 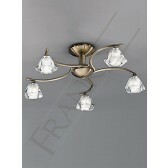 Polished brass finish this semi flush 5 light is perfect for lower ceilings. 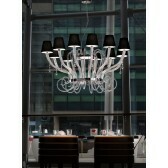 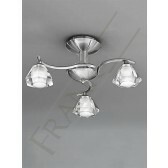 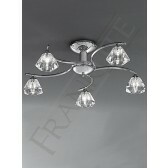 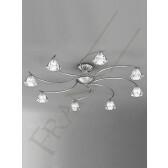 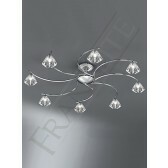 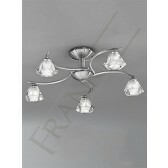 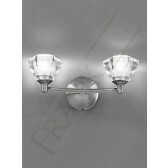 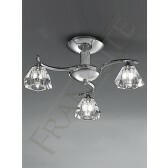 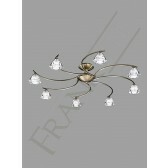 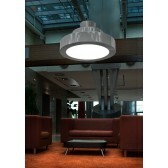 A part of the Twista range by Franklite, has 5 double curved arms which circle the central stem. 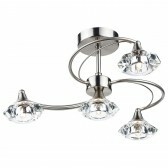 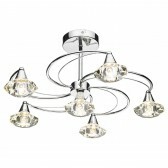 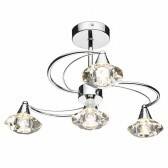 With small and chunky cut crystal glass shades which will reflect light giving out a clear, crisp light. 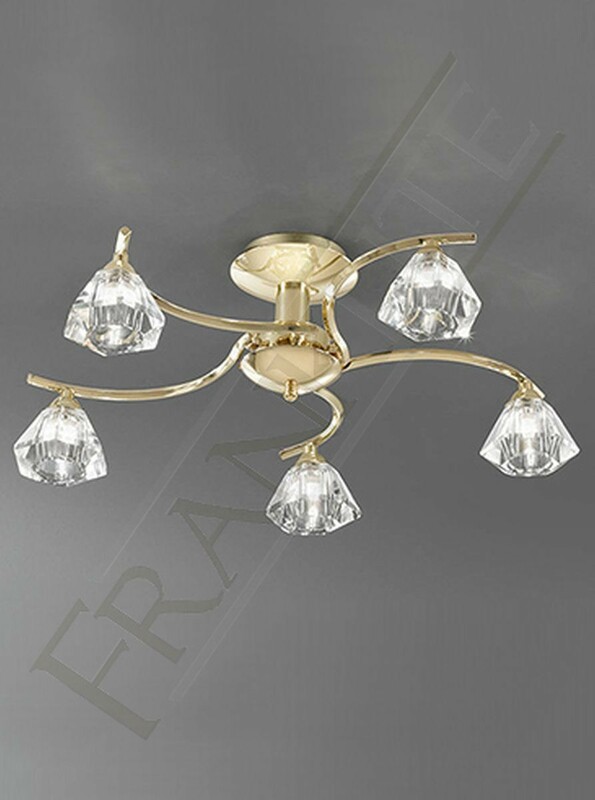 Supplied with 40W G9 halogen lamps which are suitable for dimming, this lovely design would look ideal in a bedroom or entrance hallway. 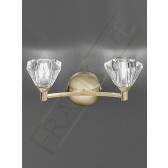 Generating a relaxed welcoming feel.